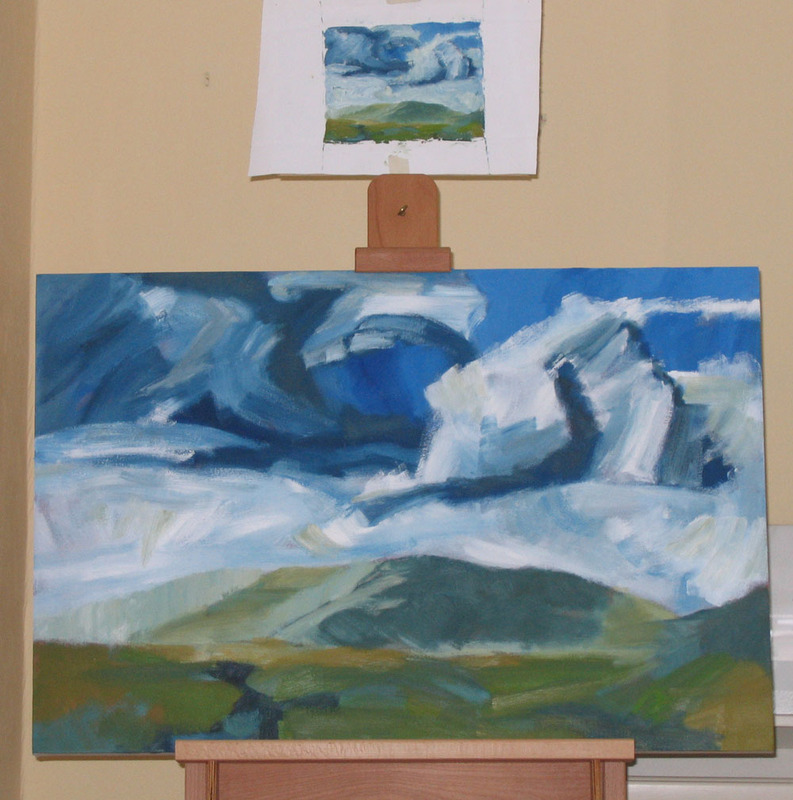 A new challenge … Trying to make a large painting from a tiny plein air sketch. 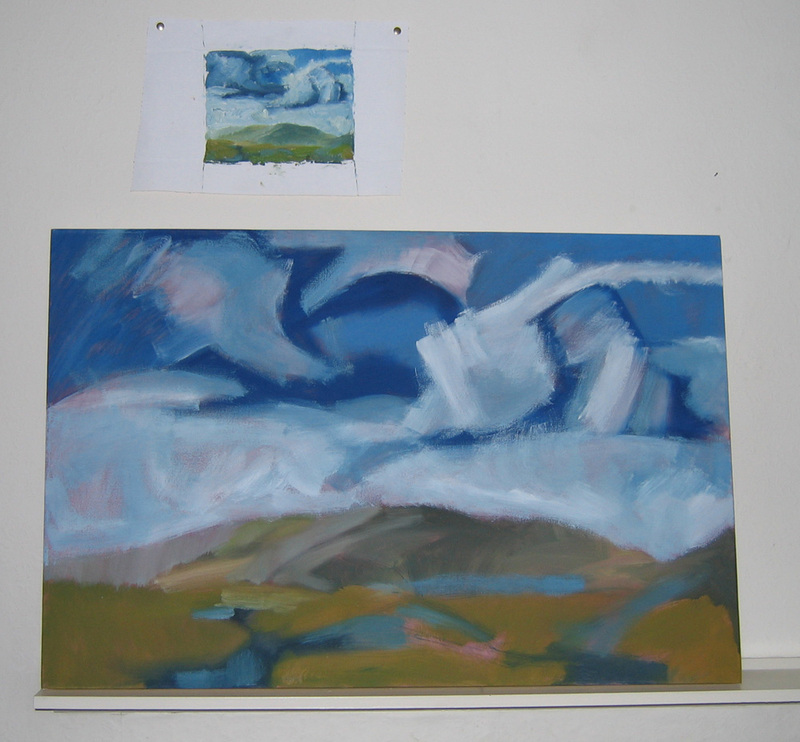 The bigger version is blocked in and I’ve started to work into some areas. It’s reached an interesting (and scary) stage, so I thought I’d record it before carrying on. After a delay during which I bought an easel big enough to actually hold the canvas (much better than propping it on a shelf and waiting for it to fall on my head) you can see I’ve worked into quite a few areas but there is plenty still to do. 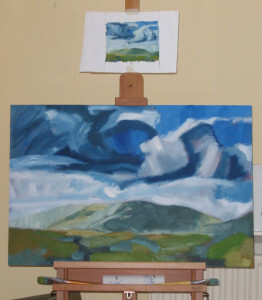 The sky will need lots of work, I’m beginning to realise. Well, it all will, really. 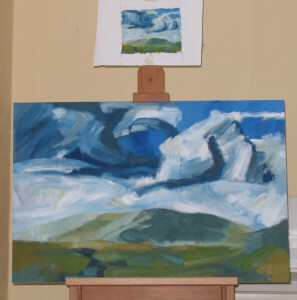 This entry was posted in paintings and tagged from plein air sketch to studio painting, larger versions of plein air work, painting big, painting of hills and clouds on May 25, 2012 by fellpainter.